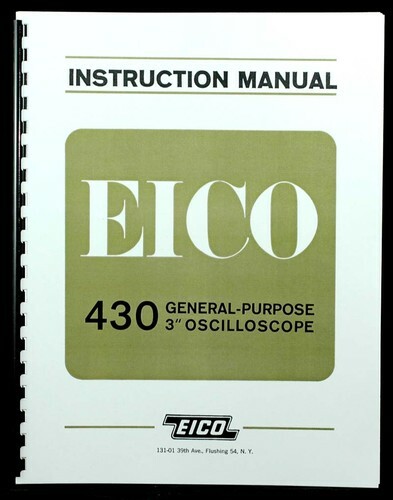 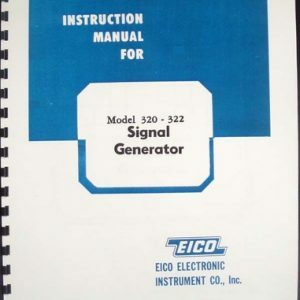 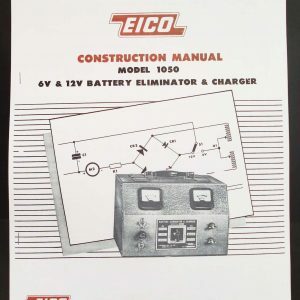 For sale is reprint of EICO Model 430 3″ General Purpose Oscilloscope Instruction Manual. 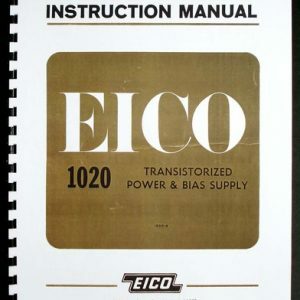 Manual is 21 Pages long and includes 11″x17″ pullout of circuit diagram, Dated 1963. 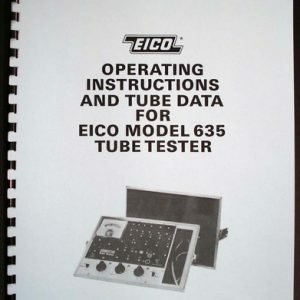 Sections include: Features and Specifications, Operations, Applications, Maintenance and Replacement Part List.